One you reach the age of 30, you have a 10 percent to 20 percent chance of graying hair with each passing decade.1 It’s a fact of life that, eventually, virtually everyone will go gray. Your hair color comes from pigment called melanin. Each hair may contain dark melanin (eumelanin) and light melanin (pheomelanin), which blend together to form the many shades of hair color among humans. When you’re young, special pigment stem cells called melanocytes inject pigment into keratin-containing cells. What exactly causes melanin to be reduced and hair to turn gray has remained a mystery, until now. An international team of researchers has discovered the first gene linked to gray hair. A gene that has previously been linked to blonde hair in Europeans turned out to be connected to gray hair as well and accounted for about 30 percent of hair graying among the study participants. The other 70 percent is likely due to factors such as age, environment, stress and more. The researchers plan to look for ways to manipulate this genetic pathway to prevent hair from turning gray (including drugs, which I would not recommend taking for the purpose of changing your hair color). 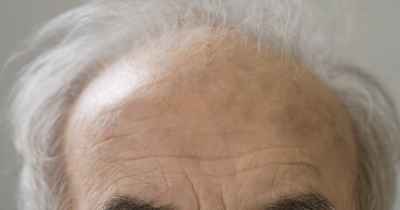 “ … Tobin suggests that hair turns gray because of age and genetics, in that genes regulate the exhaustion of the pigmentary potential of each individual hair follicle. What Else Causes Gray Hair? 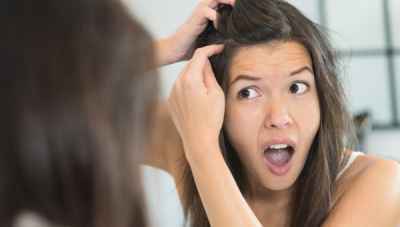 Hydrogen peroxide: Hydrogen peroxide is a well-known tool for bleaching your hair, but many people aren’t aware that your hair cells make hydrogen peroxide, too. 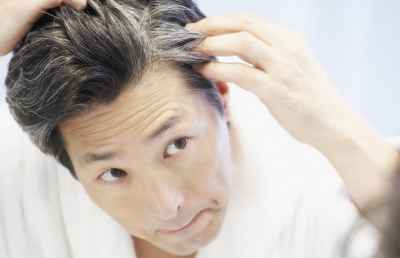 Is Premature Gray Hair an Indicator of Health Problems? It’s thought that going prematurely gray is largely genetic; if you have family members who turned gray early on, there’s a chance you might too. Obesity is also associated with premature graying,13 and there is some speculation that it could be an indicator of certain health issues. For instance, premature graying of hair may be an important risk marker for the bone condition osteopenia. It’s commonly believed that stress causes gray hairs (and many parents of teenagers or former presidents, whose hair often turns gray during office would likely attest to that). That study found chronic stress and frequent activation of the “fight or flight” stress response leads to DNA damage that may promote not only aging, cancer, neuropsychiatric conditions and miscarriages but also affect genes that control hair pigment. When the researchers inhibited the Wnt pathway in black mice, they turned gray. 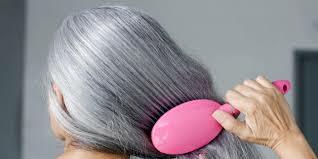 They believe that one day adding the Wnt protein to hair care products or supplements may “cure” gray hair. The search for a cure for gray hair assumes that gray hair is a problem that needs solving. But there’s nothing intrinsically bad about having gray hair. In fact, from a health perspective you’re far better off going gray than using toxic hair dyes.